illustration and concepts for...: what? a lot of work to do and i still have time to waste... unbelievable!! 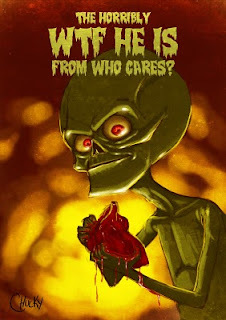 and this is just a doodle i wanted to do one of the "mars attacks" little aliens but, i've failed. lol! Ae! ET!!!! Era disso q eu tava falando rapaiz!